Please check out the selection of our Kitchen and Floor Tiles. Please check out the selection of our Bathroom Tiles. We have over 15 years experience importing and selling quality Tiles and Timber flooring. Over that time we have built up a large network of suppliers and contacts that travel the world to bring you the latest trends and styles at the most competitive prices. As a company we always insist on quality, great choice and cutting edge innovative designs. Here at Thurles tiles we pride ourselves in providing for our customers looking for something that little bit different with our unique ranges along with our always popular current ranges. It is our passion helping customers achieve the results they want with our guidance and expertise while keeping within budget. We pride ourselves on our customer service and we are not happy until our customer is fully satisfied. At Thurles Tiles we value our staff, customers, suppliers and believe in honesty, integrity and building relationships. We built our new home last year and we went to Thurles Tiles as it was one of our local suppliers for tiles and flooring. We found a great selection of products available at very competitive prices and we managed to tile and floor our entire house from this one stop shop. We also found Mike to be extremely helpful and knowledgeable in his profession. We are very happy with the finished result and would definitely recommend Thurles Tiles to anyone without hesitation. The Mumble T tiling was supplied by Thurles Tiles & Timber Flooring. They look fantastic, so easy to keep clean once weekly is more than sufficient. I am absolutely thrilled with my new flooring. My neighbours envy me, as there is such an improvement in the appearance when one enters my hallway. Whether a new house or modernising an old house - Thurles Tiles & Timber Flooring is a place people must visit as there is such a wide variety of flooring & fantastic value for money. Thurles Tiles & Timber Flooring has an excellent selection of Tiles & Wood Flooring. Their products are very different than anything else we saw in any other showroom & their prices are really competitive too. Their staff are exceptionally helpful & gave us great advice . we are delighted with all our floors & everyone keeps admiring them. We Bought all our tiles from Thurles Tiles for our new build just this year and I must say they showed great patience with us as we could not decide on what we liked most as their selection was so vast and varied too. After weeks of coming and going we finally nailed down our decisions and we are thrilled with how all the bathrooms & the ground floor area turned out. We would highly recommend them to anyone to looking for a professional service. If you are looking to Update your Home Then don’t look any further than Thurles Tiles . Mike at Thurles Tiles helped us create a slick & stylish wetroom by optimising all the space we had available and also advised us on a Moroccan patchwork floor Tile for the wc floor for the wow factor and it certainly had that as we love it. Pop in to Thurles tiles and you won’t be disappointed. 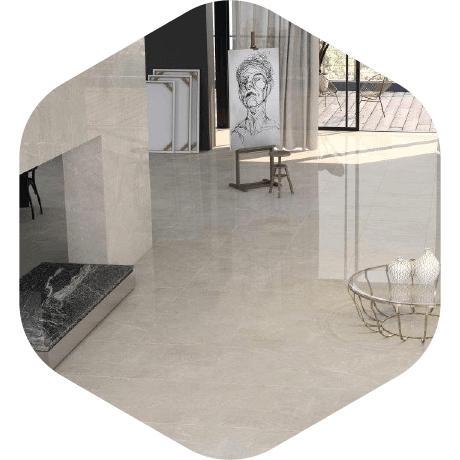 When it comes to choice in tiles be it colours, sizes, surface finishes you will find it impossible not to find what you are looking for with our high quality ranges of tiles and natural stone at affordable prices. At Thurles tiles we pay constant attention to the latest trends in interior design and excellent technical developments to bring you the most up to date innovative Designs and prints using digital ink jet technology and rectifying of tiles to create clean lines and varied images for realistic reproductions of natural stone, wood grain effect and unique patterns in tiles. 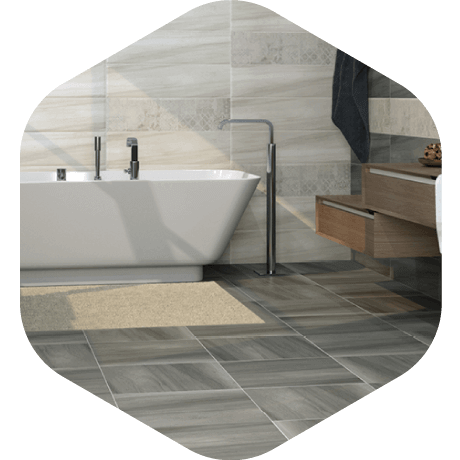 We import all our products internationally which helps us keep our ranges unique to us such as our Victorian style patterns, large format porcelain, wood grain effect tiles, and large selection of mosaics suitable for walk in showers, wet rooms and bathroom walls. Drop in to our showroom to view our complete range. Please see below just a selection of our kitchen and floor tile range. We import all our products internationally which helps us keep our ranges unique to us such as our Victorian style patterns, large format porcelain, wood grain effect tiles, and large selection of mosaics suitable for walk in showers in wet rooms and bathroom walls. Drop in to our showroom to view our complete range. Please see below just a selection of our bathroom tile range. 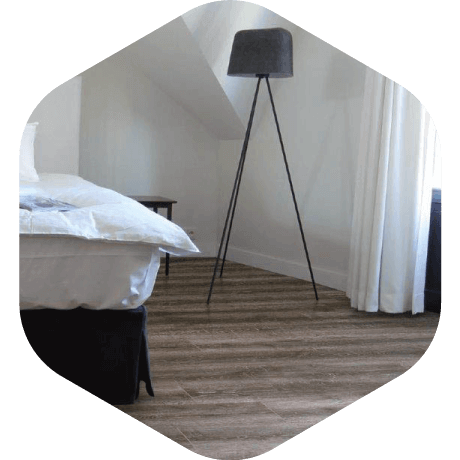 Here at Thurles tiles we supply only high quality laminate and engineered wood flooring at affordable prices , our ranges include Balterio , Egger and Pergo the leading European manufactures of wood flooring Our products use innovative surface structures that give the look and feel of real wood . there is a huge array of different colours , sizes and surface finishes to choose from . These floor coverings are extremely durable , easy to install and simple to maintain so you can enjoy them for many years to come. We provide a free on site measuring and consultation service upon request. We can offer our experience and skilled advice on every aspect of supply and fitting of tiles & wood flooring as well as the all-important preparation work. As tile importers and wood flooring distributors, we offer hundreds of high quality tiles, marble and wood flooring products for immediate delivery nationwide. We will provide you with recommendations of skilled, experienced and specific fitters that specialize in the area of your project.